Dr. Danielle Spagnolo, who has been with our organization since 2006, earned her Doctorate in Physical Therapy from New York Medical College, where she was honored with the Clinical Excellence Award upon graduation. In 2010, Danielle earned her clinical specialty as an Orthopedic Clinical Specialist and is a member of the Orthopedic and Sports section of the American Physical Therapy Association. In May 2017, Danielle earned the distinction as a McKenzie Certified Therapist with the McKenzie Institute International. Stephen has been at the forefront of orthopedic physical therapy since graduating with highest honors from Boston University in 1977. He founded Churchill Orthopedic Rehabilitation in 2003. Steve is a member of the Orthopedic section of the American Physical Therapy Association. He is well-regarded for his expertise in the treatment of orthopedic injuries including shoulder, spine, foot/ankle, and sports injuries. Steve is board prepared to become an Orthopedic Clinical Specialist. In addition to his clinical expertise, Steve cultivates a positive, healing environment for patients and team members alike. Bryan's professional focus in orthopedics arose from working in various outpatient settings where he would treat a wide-array of musculoskeletal conditions and implement exercise programs for patients to achieve a healthy and active lifestyle. He graduated from Northeastern University in Boston Massachusetts with a Bachelor's degree in Rehabilitation Science with a minor in Business Administration in 2014. Bryan then went on to graduate in 2015 with his Doctorate of Physical Therapy. He further pursued his interest in health and fitness to become a Certified Strength and Conditioning Specialist (CSCS) in 2016. This specialty helped him to gain knowledge in enhancing athletic performance and to educate patients about proper program design. Bryan is a member of the American Physical Therapy Association ( APTA) and the National Strength and Conditioning Association (NSCA). John's orthopedic physical therapy experience spans over 45 years. He has always had a passion for the treatment of temporomandibular joint (TMJ) disorders and spinal dysfunction, and has become a well-known and highly regarded specialist in the orthopedic and dental communities. John earned his degree from the University of Pennsylvania and received his clinical training at Columbia Presbyterian Medical Center. He is a board certified Specialist in the treatment of orthopedic pathology of the head and neck. He is a fellow in the American Academy of Manuel Physical Therapists (AAOMPT). John is also a founding member of numerous orthopedic groups and is currently the treasurer of The Physical Therapy Board of Craniofacial and Cervical Therapeutics (PTBCCT). John is well-known in the clinic too, not only for his expertise in physical therapy, but also for his easy and welcoming smile and kind personality. In his spare time, John enjoys relaxing pursuits such as hiking, gardening and especially driving his race cars. In fact, John is our car connoisseur, and 14-year racing veteran who has won the German Touring Car Championship! Dr. Jenna Breitinger graduated from Rutgers University in May 2016 with her doctoral degree in Physical Therapy. At that time she was honored with an Outstanding Service Performance award. Her clinical/volunteer experiences include a wide variety of orthopedics as well as neurological disorders, hippotherapy, amputations and neonates. With a passion for orthopedics, Jenna plans on pursuing her CSCS and OCS. Due to her 25+ year equestrian background and transitioning thoroughbreds off the racetrack, she also plans on becoming certified in equine rehabilitation. She resides in Oak Ridge, NJ with her fiance. Gabe, raised in Staten Island New York, began his physical therapy career in New York City in 2006 after graduating from Suny Upstate Medical University in Syracuse, New York with a Masters in Physical Therapy. He received a transitional Doctoral Degree in Physical Therapy from the University of St. Augustines for Health Sciences in 2011. He has also completed training in Graston Instrument Assisted Soft Tissue Mobilization training, Functional Dry Needling Certification (2015), and achieved Board Certification in Sports Physical Therapy (2015). 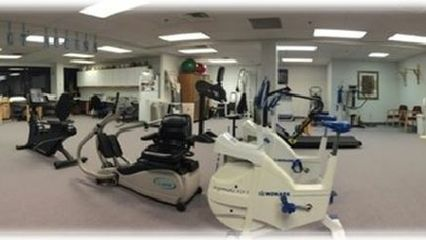 He utilizes an evidenced based approach to treatment and develops specific programs based on the individual's needs. Since meeting his wife in 2008 he has lived in Philadelphia, Pennsylvania, Winston Salem, North Carolina, and Salt Lake City, Utah while she completed her medical training in Family Medicine and Primary Care Sports Medicine.